It is only our first game in February, but this matchup with North Carolina is critical for the rest of the season. BC is in the midst of a tough stretch and needs to show strength at home. Let's hope the late tip time and the cold weather give us a little home court advantage. This Carolina site put together a good preview of our team. Kenpom predicts a close loss. The challenge with UNC is their defense. They are a lot like FSU in that they can guard us on the perimeter and block shots inside. To win we need guys penetrating and finding open mid-range shots. 2012 QB target Casey Cochran is really talking up Northwestern. The Globe is keeping tabs on future Eagle Dennis Clifford. BC hoops recruit Kyle Caudill has plantar fasciitis. It is one of those nagging injuries that will hopefully go away with rest. You never like to see a big man with foot problems so let's hope his case is minor. HD listed Jim Noel as one of her most improved players. The BC women lost on the road to a bad Wake Forest team. This is Part II of my Year in Review series. For this, I try to highlight guys or groups that I didn't expect much from and in turn exceeded my expectations. Their Bowl game was bad and they were maligned throughout the season by the talking heads, but these two guys really stepped. Swigert had more of an impact and became one of the few consistent aspects of our passing game. Amidon did not have the same sort of impact but towards the end of the season was making some tough catches in traffic. We have a lot of problems on offense, but don't let people fool you on these two. They can play. 2. The Defensive Backs coaching and system. People hate our reliance on zone defense and the corners playing well off the line. You will also hear plenty of complaints about Mike Siravo as recruiting coordinator. But those gripes aside, it is hard to deny how well prepared the DBs were this season. Davis goes down. Other guys step up. Gause goes down. Fox looks good. Fox gets dinged and Ryan Lindsey plays corner. But roster shuffling isn't what it is all about. Fox, Noel and Okoroha all had breakout seasons. Their position coach deserves credit for having them ready. His real impact was only felt late in the season, but what an impact it was. Williams provided a combination of power and explosiveness we haven't had at the position in a long time. Nevada adjusted to his style and he still has many areas for improvement, but I don't think anyone would have guessed that he had this much potential heading into the season. Since I am the guy who said our new OC would be Ryan Day my updates probably come off as hedging. That's not the intention. I am just trying to pass on what I know. Here is the latest: Minnesota Vikings QB coach Kevin Rogers got a serious look. Don't know if this means much in the big picture. I still think Day gets it. Rogers might make sense in that he could be a comprise candidate with ties to Gene and Spaz. Gene's son was a GA for Rogers at Notre Dame and Spaz has known Rogers going back to his Navy days. Personally I would rather see Day or Brock get the job than an outsider whose best days are behind him. I expect this all to conclude after signing day. Just after Michigan made their push, Miami went hard after BC QB commitment Christian Suntrup. So far he still plans on being an Eagle. I will be relieved when he finally signs. After a great week in practice, Anthony Castonzo struggled in the actual Senior Bowl. But we should note that he was playing out of position at guard. I think his practices, experience at BC and personality will keep him as a first round pick. As expected, Graham Stewart, one of BC's prized is headed to Florida. While disappointing, Linebacker is one position where BC can allow a guy to slip away. Our current roster is deep at LB as is our recruiting class. The real question is how will Spaz fill the void. He could move on another prospect but most expect him to save the opening for a later date. Women's Hockey beat Providence 3-1. The Eagles take on Northeastern on Sunday. After getting interest from some FBS schools but no offers Matt Ryan's cousin and John Loughery's son has decided to attend prep school. The extra year and success at a higher level of competition might restart things with BC. BC may be one of the better ACC teams and may have an efficient offense, but we are not ready to knock Duke off. In the post game news and comments, you'll hear and read a lot about Reggie Jackson's benching. But that is not the reason BC lost. Reggie still played 32 minutes. We lost to Duke by making the same mistakes we always seem to make against the Blue Devils. Here are my thoughts. Leave yours in the comments section. -- Dallas Elmore's contributions. Bill Simmons often likes to talk about what guys bring to the table and what they take off. Tonight was Dallas's night to bring something without taking anything off. He did many things well and made the most of his 32 minutes. I really liked his ability to cut to the basket. Next year he will need to contribute like this in each game. This was a good sign he still has upside. -- Corey Raji's backdoors cuts. Like Elmore, Corey used the most of his additional minutes. He also showed that he can finally convert close to the basket. -- The Reggie Jackson drama. It's Donahue's program, so he can decide who plays when. But by doing this against Duke, you draw even more attention to the incident and make winning that much harder. I hope the team responds because right now it looks like a hollow power move. -- "the last two minutes of the first half at Cameron". At this point it is a cliche. Which only makes watching the Dukies pull away right before half that much more frustrating. Can't we just stall or something? We know it is coming. While I would have liked things to be more competitive, this wasn't a bubble burster. But the next few games will determine the season. Let's rally and let's hope Reggie has some big games ahead. Another Senior Bowl practice, another writer saying Castonzo is the best tackle in Mobile. This is encouraging after a senior year that brought some criticism towards AC. I will continue with my year in review stuff in the coming week, but let me say ahead of time that AC had a good season. Speed guys have always given him trouble (think back to VT in 2007), but he still managed to slow them down and stay focused. Plus some of his alleged inconsistency in 2010 could be due to the overall issues on the BC Oline. BC's own Mike Mayock said Herzy graded out as a Top 10 talent prior to the cancer. This report that Spaz is interviewing Delaware's Jim Hofner got some traction on the BC message boards. I am sticking with my news that it will be Day. As for the delay in making the announcement...BC really gains nothing by making it official prior to signing day. Castonzo did well in his drills today. The coaches moved him to the right side and he had no problems adjusting to his old spot. He also seems has a good handle on the pressure and off the field aspects of the Senior Bowl. This scout sees Herzlich as on OLB in a 3-4 system. This scout told a writer that Herzy is a perfect combo of instinct and size. Injuries and BC's drab season muted some of the media hype surrounding Mark Herzlich's return. Now that he is entering the NFL phase of his career, a new group of writers, reporters and pundits have a chance to jump on the story. It is a great human interest piece. But what is more interesting is where Mark will land in the Draft. Although he didn't have a highlight reel season, I actually think he played very well. If he does well in Mobile and at the Combine he might creep back up NFL draft boards. The directors of the Senior Bowl got real creative with their rooming assignments by putting Mark and Castonzo together. If you didn't see it elsewhere, please read this Harvard Sports Analysis Collective post regarding BC basketball. Basically we have the most divergent offensive and defensive stats on one team since they've been tracking either. What does it mean for the season? Hopefully we can get a little better at D and close out more ACC games. BCI complimented the post with their post on the divergent units on BC football. BC offered 2012 target Jordan Westerkamp a scholarship. The Illinois WR has MAC and Big Ten offers. Carolyn Swords was the ACC player of the week. With the game on the line, look to the former Eagles to make a play! Congrats to BJ on his big touchdown and to Packer fans everywhere. Let's not overlook Robert Francois's contributions too. Also, good luck to the Steelers and the Rooney family (which has plenty of BC ties). I don't care for either team but will probably root for Green Bay because of their BC guys leading the way. One of BC's top commits, Graham Stewart, will host Florida coaches at his house this week. Fortunately we are deep at LB, but I would still hate to see a kid ditch us so late in the process. Let's hope Spaz has someone camp out at the kid's house to keep him in the fold. BC lost out on Brandon Clemons too. He's headed to Michigan State. The hockey team pulled away from UMass-Lowell en route to a 5-3 win on Saturday night. Women's basketball lost to Georgia Tech on Sunday and fell to 2-3 in ACC play. BC entered the game with one of college basketball's best offenses. Florida State entered with one of the game's best defenses. The 'Noles and their defensive approach won out, with a comfortable 67-51 victory. I don't think the loss is a wake up call for BC. But it is a sign that this next stretch of games will be very difficult if BC can't hit their shots. -- I know FSU is long and closed out on the perimeter well, but did anyone else think BC became too passive? It seemed like the guys were willing to make another pass when they had a decent look. -- Aside from the the offense-defense approach, this was just a bad matchup on many levels. Florida State has a bunch of shotblockers who just waited on Reggie. Without any penetration, the flow of the offense seemed lost. -- I actually was a little frustrated with the tempo. When we started to fall behind, I think we should have forced more shots and shot earlier in the shot clock. -- Our defense is not good, but I liked when we went big with a lineup of Reggie-Dallas-Trapani-Dunn-Southern. We didn't stick with it very long, but I think it could give some teams trouble when we are not shooting well. -- I think this shows how valuable Biko has become. Moton was okay, but is not a scorer yet. Although Florida State is good, I think one of the reason's Reggie struggled is that he had most of the ball handling duties. This is one loss, but as I said, we are about to hit our toughest stretch. Let's hope we adjust or this feel good season could end with a lot of ugly basketball. BC built an early lead during the first period. BU battled back in the second. Despite a few tense moments in the third, BC held on. The guys hope to build on the momentum Saturday night against UMass-Lowell. HD tackled BC's delay in naming a successor to Tranq. She concludes that Spaz is naming an outsider and not promoting a current staffer. She says it is just a hunch. I am sticking with my initial report that our new OC will be Ryan Day. I've seen all the speculation, but my tipsters remain firm. But HD did raise a good question: "why hasn't BC already made the announcement?" I actually think the explanation is simple: there is no benefit to naming Day now. Currently they can tell recruits "we are still looking for the right fit, but we are likely to promote from within and keep the same offense. Only it will be more dynamic and exciting with you on board..." If they say Ryan Day is the new man in charge you open a door for other schools to recruit against you. They can question Day's experience, what sort of offense he will run, staff continuity, etc. Who knows? For a conservative school that doesn't get a lot of attention our staffing always provides more drama than you would expect. Maybe I am wrong. Maybe Spaz will bring in an outsider. It wouldn't be the first or last time I got bad info. But whoever it is, I just hope things get better on offense. BC 2012 target Jason Sylva had a good visit to Rutgers. BC commit Paul Gaughan dropped out of the prestigious Big33 game. No explanation was given. Let's hope it is not injury. There is speculation Jags could be Matt Ryan's new QB coach in Atlanta. I don't see it happening for a variety of reasons. But I could see Steve Logan in the role. Like everyone else not in Conte I was forced to follow this with Meter and online so take everything written with a grain of salt. (Those in attendance, please add your thoughts.) When you drop a close game like we did on Saturday, you wonder if this team can make smart plays down the stretch. Will they stay poised? Will Donahue make the right calls? Tonight provided a little bit of an answer. BC beat UVA and improved to 4-1 in conference. It was closer than it should have been but it still counts as an ACC win. -- Love that we only turned the ball over five times. That's really impressive given our passing and that we don't have a bunch of great ball handlers. -- Even on his good nights, Trapani is not particularly efficient. He missed half his shots and all his 3s. -- Someone who was at the game is going to have to explain UVA's shots late. Did we have defensive breakdowns? 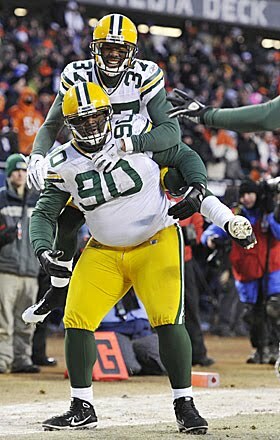 -- I know he's made some big shots, but I would like to see Raji closer to the basket. -- I wonder what is going on with the rotation. Donahue seems to be getting tighter with his roster and minutes. Moton, Rubin, and Southern's minutes are down. And Dunn can't seem to get back into the fold. I have no problem with a short bench. It was one of Skinner's hallmarks. I am just curious why Donahue is shifting from one of his tenants (especially when Southern and Moton have been good lately). I actually think UVA might be a glimpse into Donahue Year 2. The Cavaliers have a "system" and a rising coach in Bennett. They are in Year 2 and patching a roster together with young players. So for now Bennett's vaunted defense is not looking so hot. But things should improve next year. Let's hope our offense still hum in Donahue's second year. Of course we will have Reggie. Mark Herzlich is one of the bigger stories at the Senior Bowl. For the first time Mark addressed the realities of his decision to stay at BC in 2008. Although his "stock" has slipped a bit, Mark recognizes that the cancer would have been discovered then and he would not have been drafted AND missed the opportunity to play one more year at BC. So the silver lining is that he got to be part of BC football again, rehab from the cancer and complete his degree. Castonzo joined on the Senior Bowl roster. He is still expected to be a first round pick. HD listed Herzy's return as one of her best moments in 2010. Now that classes have begun Spaz can officially discuss his early enrollees. Albert Louis-Jean is the local kid and more familiar name. Canadian Mehdi Abdesmad was under the radar but could contribute right away. An added bonus is that early enrollees count against last year's signing class so BC can take an extra big class this year. On the recruiting front, BC has interest in Ohio lineman Derrek Ross. North Carolina is looking at BC basketball target Kaleb Tarczewski. This isn't a sports story, but the BC community is mourning the loss of former professor and Executive Vice President Frank Campanella. His accomplishments are too long to list, but Campanella was one of the driving forces in transforming BC from a regional to a national school and giving the campus the facilities it has today. This has always been one of the tougher pieces to write because you hate picking on the players. So in this case, I will factor in some other facets of the program. Here are the Biggest Disappointments of the 2010 season. 1. Game Management. I know I am considered a Spaz hater and major critic, but I think even his biggest supporters would admit the Spaz's in game management and use of timeouts is troubling. We had multiple games where we had timeouts and clock before the half and elected to burn time. We wasted way too much time on some possessions only to settle for a field goal (Clemson). We failed to use time outs in close game (Duke) to preserve time in case the opponent scored and we needed to answer. It was just mind numbing. Don't get me started on ever going for it or using a surprise play on special teams. That sort of thinking doesn't fall into the "we know what we are" mindset. I am sure Spaz can rationalize his management. If you think your team is limited, you want to do whatever you can to protect them. I would argue that a limited team that has trouble scoring needs to maximize their chances. Settling for a field goal or taking a knee wastes valuable scoring opportunities. No one really presses Spaz to explain his game management so I don't expect things to change in 2011. I hope that with a maturing team and a maturing QB he can use every opportunity we have. 2. Offensive Line U. We never looked like a unit that had four returning starters. We never looked like a unit that had two NFL draft picks. Part of the problem arose from training camp when we shuffled players around. Part of the problem was inconsistency from certain players. When the scheduled softened up and we moved Richman back to guard and Spinney to Center, things finally clicked. I even think we looked better with Cleary at RT. But then many of the same old problems arose against Nevada. BC had problems with speed and assignments. I will acknowledge that our one dimensional offense didn't help the OLine. Since the opposing Defenses didn't respect our ability to pass, our Line was often left to block seven or eight unrushing guys. But that doesn't excuse the general inconsistency. We have talent. We have a tradition. Was it the scheme? Was it the coaching? We'll find out in 2011. 3. The passing offense. I was going to complain about our failure to use the Tight Ends in the passing game, but what's the point? How can you gripe about one position, when you only had 180 completions on the entire season? We were only good for 13 completions a game. This is in 2010 when all the rules enable passing. This is in an era when teams play uptempo and the very pace of play enables extra snaps that should naturally feature a pass attempt or two. We were so flawed at one of the basic offensive concepts that we only completed 180 passes in a 13 game season. If you want to look on the bright side, it was a three completion improvement over 2009! Some will say our passing numbers with Crane/Davis were also bad. But 2008's offense was better and Crane and Davis also produced positive rushing yards. At the end of the day, we were terrible at throwing the ball in two years under Tranq. We used five different starters at QB and never developed even a few fundamental plays. Thankfully it should get better next year. BC basketball lost a winnable game in Miami. But you can breathe a sigh of relief regarding Reggie Jackson. He rolled his ankle on the final shot but expects to play against UVA. I'll have more on the game Sunday. Matt Ryan and the Falcons got smoked against Green Bay. I know there are plenty of BC fans who don't care about the Falcons, so I will keep it short. Happy for Raji and will be rooting for all BC alums in the NFL playoffs. To top it off, Women's Hockey lost to BU. One often overlooked asset of BC football is that we are a historically good TV draw. We have had high ratings on all ESPN platforms. Raycom usually jumps at the chance to broadcast our games. Up until this year our ability to spike TV ratings was the only silver lining to selecting BC in a bowl game. Maybe that isn't the case anymore. Ratings for the Kraft Bowl were down 65%. That is a huge drop. When you consider that the game was moved to January 9th and to a Sunday night the number should have been much better. Since BC was in both games, logic would point to the opponent as the driving force in the decline. USC is a great TV draw and Nevada, not so much. But if BC is going to take credit for the stellar ratings vs USC, than we have to take some of the blame for the stinker against Nevada. The lack of Neilsen Eagle fans can be attributed to many things. I think the long layoff, the lack of storylines and the frustrating style of play turned off many casual BC fans. But there is also something to be said for how BC presents itself to its own fans. The constant lowering of expectations and playing up "the little engine that could" narrative grows stale or leaves BC fans wondering when are we ever going to get better. BC is quick to remind people of the turmoil of the Jags firing but like TOB touting the gambling scandal eventually it becomes a tired crutch. And a narrative, while important in selling a program to the media and recruits, doesn't make the product on the field any more exciting. 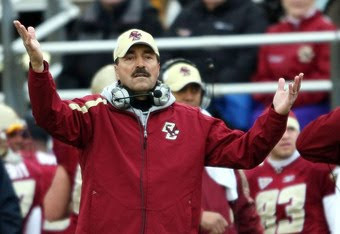 I think a new offensive coordinator and maturing team will win back some of BC's casual/TV only fans. But it is only a step. I think Gene needs to use his influence on Spaz to be more aggressive in his game management. Why should people watch if we keep playing it safe and not to lose. I also know it is hard for Spaz to be something he is not, but a little more optimism in his interviews would go a long way. His candid assessments at halftime would be charming if we were winning big. When you are barely over .500 they often come off as defeatist. In the long run BC will always be a big market team that is an attractive TV partner. But I hope Gene works with ESPN and the ACC on how to make BC a better ratings generator. It our only hope to ever get into a decent bowl game. I usually take a BC angle on any link, but I have to mention that the Terps missed 73 shots in BC's win over No. 13 Maryland. I didn't see the game, but based on the boxscore, you have to say it was partially BC's defense and partially a really, really off night for Maryland. They went 1-20 from 3. Wow. But another solid win for the BC women, as they improve to 1-1 in ACC play. Donahue is getting respect among ACC followers. Everyone keeps talking about his ability to recruit ACC talent, but I don't think that is the issue. He's just going to get shooters. The issue -- in my mind -- is can he devise an effective defense that can stop the other team when we have an off night. Virginia Tech, Notre Dame and Florida State will probably be our most challenging games next season. BC is nearing its scholarship limit with this recruiting class, but there may be room for DB Terrell Chestnut. The four star player was a Pitt commit but the coaching change there has opened the door for new programs. Miami is coming hard and his trip to BC is tentative. Here is a dorm room tour with a few BC hockey players. Hockey players never change...and I mean that in the most endearing way. Damien Woody won't be part of a Jets playoff run. New York placed him on injured reserve with an Achilles injury. That is a tough injury to recover from at any age, but will be a real tough road at 33. Let's wish him the best. 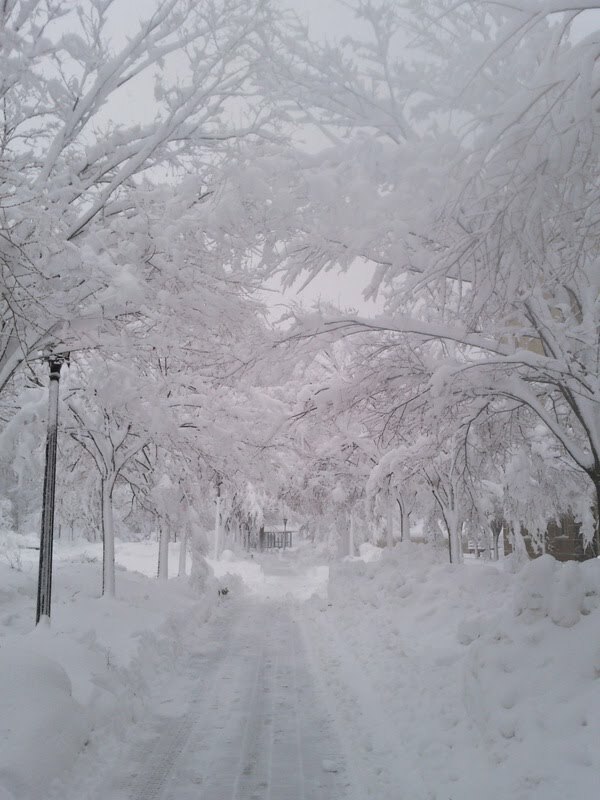 Atlanta has been shutdown this week because of four inches of snow. I would hate to see how we would react to the type of storm that just hit BC. It is premature to say how this team will play down the stretch, but you have to like how they responded to win this game. Despite controlling the tempo and NC State having an off shooting night, we lost our lead late in the second half. Yet we answered with some good defense and killer 3s. It was a moment. It doesn't erase the bad Ivy League losses, but it shows this team can win tight games and has a few players willing to take and make tough shots. -- Reggie's penetration. We know Reggie is well rounded. We know he can make big shots. But watching him beat his man off the dribble and drive to the basket is reassuring. If we need a basket in a tough spot, it is nice to know we can clear out and let him drive. -- Raji off the bench. Great night from Corey. He was very good on the boards. He took advantage of NC State losing track of him near the basket and his last 3 swung the momentum. -- Defensive adjustments. After allowing too many baskets from their bigs, we adjusted and used more zone and collapsed the lane more in the second half. It left NC State with more wide open 3s, but in the long run taking away their inside game was the right move. -- Trapani's perimeter shooting. Joe's off night was a topic on Twitter. My simple solution is that he should be playing closer to the basket. He's never been a consistent shooter but he's got good touch and instincts in the paint. -- Danny Rubin taking up space. Rubin was and is one of the nice surprises of the season. Yet the luster on his fairytale is fading a bit as he becomes a non factor. He's only going to get a few shots a game and we need him to make them. Otherwise we need more productivity and defense out of him considering his minutes. -- Dunn's defense. I know he is just getting back into the rotation but he needs to be quicker and smarter on defense. Asking Trapani and Southern to do all the work with the other team's bigs will wear us down eventually. Early conference starts can be misleading. Al had good starts that turned and slow starts during great seasons. Let's hope we keep rolling this Saturday against Miami. Doug Flutie is usually out in front with positive BC spin, but even he can't escape the fact that our offense is terrible. BC grad and former BC assistant Jason Swepson is the new head coach at Elon. If he does well there, he will be in line for bigger jobs. Even though we have some bad losses, Andy Katz still thinks we can be a factor in the ACC. 2012 recruit Devin Mayo is waiting a BC offer. There was nothing insightful about this Kraft Bowl article, but I appreciate that Rettig's hometown paper cover the Bowl. Sometimes bowl games are aberrations. Sometimes they are a microcosm of the season. This was microcosm of the entire Spaz era and I believe a look into the future under Spaz. First let me say the guys played their hearts out. You can criticize some of Rettig's throws and decisions, but the kid has heart and is competitive. We already knew the defense would play hard until the end and they did. Too bad our offense was "anemic" and Spaz's game management continues to be a cowardly and/or confused. I understand we are a flawed team, but we are not as bad as we looked. In my opinion the staff is not maximizing or utilizing their talent on both sides of the ball. We could have won this game. But we finished at 7-6 after another terrible offensive performance. While we should have a lot of optimism for next season due to all the returning talent, I fear that this type of season is all we can expect. How can you win 10 games or win the division when your coach plays not to lose? I know Tranq tends to be the scapegoat, but the bigger problem is Spaz and Gene. Spaz coaxed Tranq out of retirement for this, and Gene created and environment where this all happened. We will have a new OC next year. Once we find out who is taking over, we will have a much better idea of who is truly pulling the strings and what we can expect in 2011 and beyond. Thank you to all the Seniors. You guys are a class bunch. I will have second viewing thoughts and grades later in the week. I really hope this is a special night. We've got a great group of seniors playing their final game and we have a chance to end a roller coaster season with a statement win. I think we will play very well, get some national attention and head into next year with a lot of optimism. You can leave your thoughts and comments below during the game or join the conversation at Eagle Insider. You can also follow me during the game via twitter. When does the Fat Lady come on? Since this is our last game of the season, I had to share this piece of art from BC message board poster Onyx Blackman. Let's end the season on a high note! Go BC! I don't give Hockey enough attention around here, so I thought I would start the night off with their sweep of Providence. Friday's game had a little more back and forth while Saturday, BC controlled from the start and never looked back. The team is showing no signs of rust from the Christmas break and will load up on Hockey East teams over the next few weeks. Georgia Tech is not a good time. So when they were playing us close at times, I had fear that we might let things slip away. Fortunately, we hung on for the win. What most impressed me with those final few minutes though was that we made some big defensive stops. Uneven day for Reggie, but Corey Raji had a huge day and grabbed many key rebounds. Dave Shinskie thinks he can win the starting job back next season. BC recruit Paul Gaughan has been selected for the prestigious Big 33 game. HD is pretty excited about this game. Here are her keys to the game. She doesn't think BC will win. That good recruiting news I referenced the other day: Curt Evans switching from Wake to BC. The first commercials from America's golden voiced, homeless man will air during the bowl game. As I've been tweeting, Kraft will also work in some of their iconic products into the game like the Oreo coin toss. Nevada has to get used to playing on a baseball field. We are pros on the diamond. Here is an interesting post on football game theory and the odds. As we've been saying, our ball control, field goal kicking strategy is very limiting and not supported by stats. Christian Suntrup's highlight video is floating around. Let's hope he can redshirt next year and we build some long term stability at the position. One of the reasons I favored this Bowl was due to its time slot. By playing on a Sunday after the holidays there is no excuse not to watch. And why not watch with your fellow BC fans. For the BC Clubs this is a chance to start off 2011 with a bang and build momentum for the rest of your year. If I didn't include your club's Game Watch, be sure to add it in the comments and email me. Wow, it has been a long time since we played some football. Excuse making alert: if either team gets down early look for the announcing crew to blame the long layoff. Since both teams have had a long layoff, I don't think it will be an issue. You would think that drawn out game prep would also hurt us on the recruiting front. We are playing while other schools can shift to recruiting mode. But if anything we've had better recruiting news the past two weeks than we've had in months. Ideal or inconvenient, we should just be glad there is a game. Enjoy it because it is our last taste of BC football for months. Overlooked storyline for the game: This is probably Gary Tranquill's last game as a college football coach. I know he has retired multiple times, but this -- by all accounts -- is it for our Offensive Coordinator. I don't expect it to be a "storyline" because BC still hasn't announced the change. I assume they are waiting until after signing day or when a new guy is onboard. Regardless of how you feel about Tranq and as frustrating as his BC tenure has been, he has coached a lot of football and should be acknowledged in his final game. 1. Go deep. Did you see the Boise State game? Nevada gave up some big plays in the passing game. I think we can exploit them in the same way. 2. Confuse and contain Kaepernick. In his worst game of the year -- and Nevada's only loss -- Hawaii played a lot of zone and contained him on run plays. That sounds just like a Spaz/McGovern special. 3. Redzone offense. Our Achilles Heal will be a factor in this game. Nevada will score so we cannot trade FGs to their touchdowns. I hope we mix in some pass and don't just settle for runs near the goalline. With this game, BC will have played current WAC teams in bowls twice. While we've only had one regular season game against a current WAC team (Hawaii in 1996). We are the only game in town on Sunday night. Nothing really impacts us before or after. A big game from Herzy. This season didn't contain the accolades we had hoped for but Mark played well. One more great performance in a win would be a fitting conclusion to one of the most memorable BC careers of alltime. We can't score. Everyone is talking about their offense vs our defense. I don't think that will be an issue. We will slow them down. What will be an issue is our ability to break the 21 point ceiling we have. BC needs to open it up and needs to get to 28 points to win. I loved the matchup the minute it was announced. We played our best against Florida State and Nevada reminds me a lot of the 'Noles. I think we will stiffen their running game. I think Castonzo can lock up their speedy DE Dontay Moch. I think we open up the pass game and complement it with some big runs from Harris and Williams. The season ends on a high note and we all start to get excited about 2011. It's nice living in a city with a high-profile BC sports alum. So for fans in Arizona, I highly recommend taking advantage of the latest "Jared Dudley meet-and-greet" hosted by the Suns and the BC Alumni Phoenix Chapter. The event will take place at the Suns game against the Portland Trailblazers on Friday, January 14, 2011. There is an opportunity to join a private, pregame Suns shoot around and meet and talk to the Jared himself. For more information contact Jim Gruber (a fellow member of the class of 1998) at jim_gruber@yahoo.com. Yes, we lost to Harvard again. Skinner's losses to Harvard were part of the reason he is no longer our coach. When we lost to the Crimson in the past, fans said Al's laid back attitude left the team flat. Being flat wasn't the issue this season. Donahue had the guys pumped and ready to go. The problem was two fold. First, we were sloppy with the ball. Second our defense is still bad. Turnovers. Our success this season has really been driven by our offense. We have been efficient scoring, shooting 3s and preventing turnovers. Tonight we didn't protect the ball. We had 14 turnovers and it cost us when we were trying to catch up. Since our D is suspect, we need our offense to be perfect. Tonight it wasn't. Defense. I don't and didn't take Harvard lightly. Just a few days ago I tweeted that the Ivies' familiarity with Donahue makes any Ivy League team a tough game. But we would have beaten them with a better defensive effort. Based on the recaps, it seems like we allowed Harvard plenty of open looks. We didn't use our supposed athletic advantage to force a ton of turnovers or block a bunch of shots. I know Donahue has used a variety of defenses. Right now I think we need a primary scheme and need to stick with it. Bubble time? This is not a good loss, but it is not terrible. Harvard is going to be decent. Plus you can't take away our good wins from our resume. A winning ACC record combined with our out of conference resume will be more than enough to get into the Big Dance. By late Sunday night you will probably never want to hear the term "Pistol Offense" again. In the simplest terms the Pistol is more a formation than an offense. Instead of standing seven yards back in the shotgun, the QB stands three or four yards back. The goal is to get the benefit of the shotgun (better vision, more space) and not lose the opportunity to have a power running game. Nevada was the birthplace of the Pistol and now, like other innovations in football, it has spread and variants are popping up all over. BC has yet to face a true Pistol Offense but our staff is certainly familiar with it. We even used some Pistol during the season with Rettig. Of the teams we faced, the closest in style and philosophy to Nevada is Florida State. Both run similar zone blocking schemes. Both have mobile QBs and have explosive runners. The team's passing stats were very similar but a most would concede that a healthy Christian Ponder is a better passer than Kaepernick. For BC the key will be winning the battle upfront. Most of Nevada's runs are inside Zone reads. This will put pressure on our DTs and LBs to clog holes and then play assignment football. If we can get Nevada out of a rhythm running, I like the matchup of our pass defense against their passing game. This is Nevada's former OLine coach discussing his line drills for the zone. Indiana runs the Pistol with a passing focus (and uses man) but here is how the formation helps the run game. Here is how dangerous Kaepernick can be when he gets a seem. Smart Football has some great posts on the Pistol too. The BC women's stay in the Top 25 might not last long as they lost to Dayton tonight 89-77. Don Bosco running back Paul Canevari might get a late offer from BC. 2012 QB Casey Cochran is saying all the right things about academics coming first. Brian Gibbons earned Hockey East player of the month for December. HD thinks it is up to BC to carry the flag for the ACC. Donahue's home town paper is following his adjustment to the ACC. New England Soccer News named Kristen Mewis its player of the year. Welcome Around the Res to the BC blogosphere. They are off to a promising start with this interview with Codi Boek. I wish Boek had gotten a little more playing time while at BC since he embodies so much of what we want our guys to be. Bill McGovern is getting mentioned as a candidate for the UConn opening. In the past McGovern interviewed for openings at Holy Cross and UMass. I would be surprised if he gets the job, but good for him getting in the mix. As for the other BC-UConn connection, Jags is still mentioned yet his contract was not renewed with the UFL. Of course, this being Jags it is never that simple. The UFL called it a firing and said Jags wasn't getting it done on the field. Perfect timing when you are trying to get another job. What is interesting is that the UFL's news might have derailed his UConn shot yet his UFL GM said he is hoping Jags gets the UConn job?! What a strange two years its been for him. The Patriots put Ron Brace on the IR which means he's done for the playoffs. In case you missed this article on Wes Davis over the weekend, it is well worth the read. I've harped on the Chip Kelly connections in the past. With the BCS Championship approaching I think you'll see more articles like with quotes from Sean Devine. As I mentioned, I never envied UConn's BCS appearance nor that they had Randy Edsall as their coach. Well after interviewing with BC (three times), Miami, Georgia Tech, and NC State, Edsall finally landed an ACC job with Maryland. I don't think he'll be a disaster, but I think Maryland could have been more bold with the new hire. Mike Leach at Maryland would have been scary for BC. Rich Rodriquez would have made things interesting. I am not even sure Edsall is an upgrade over Friedgen. As for why Edsall wanted out...I think the situation is very similar to TOB's at BC. I think these coaches get tired of the limitations and start to think the grass is greener. Edsall knew getting UConn back to the BCS would be tough and that anything less would be met with fan impatience. Now he gets a fresh start and a raise. Of course this coaching carousel will impact BC as old names like Jags and Whipple have surfaced as candidates in Storrs. 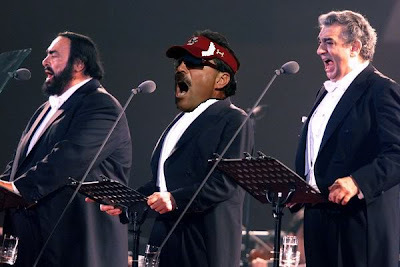 If Jags lands the gig I will weigh in further. But let me say this: UConn is a tough place to build a winner. Syracuse is back. TCU is entering the conference. It looks like WVU just upgraded their staff. I think the better Big East opening is Pitt but at this point I think Jags and Whipple are both itching for a chance to be the head guy again and both are filled with confidence that they can win anywhere. After the loss to URI, I said this team has shown an ability to put losses behind them. Well they put the loss to the Rams behind them in a big way. BC thrashed South Carolina 85-70 in a game that wasn't even as close as the score indicated. It was really a complete game. Any 'dislike' I put down would be a complete nitpick. Here are some thoughts on the game. -- Trapani is hot. A complete game. He made some 3s. Some putbacks. Some layups. He also was solid defensively. Joe is consistently good and occasionally great. Let's hope we see more greatness down the stretch. -- Smart passing on the press. South Carolina pressed at points and we shreddded it. The final turnover number is a bit deceiving since a few came late. Paris, Jackson, and Trapani were solid with their ball handling. -- Good minutes from Moton. The freshman has been a weak link this season. Saturday wasn't a stellar performance, but it was improvement. He made some good decisions and played good D.
-- Getting some simple points off of inbounds. The inbounds plays were a source of frustration for a long time under Skinner. Not only is it not an issue, but we are able to get some easy baskets now. This was the most complete game of Donahue's tenure at BC. Let's hope plenty of BC fans saw it and get on the bandwagon. We need Conte to be rocking this winter.